Craig is the SVP/Executive Creative Director of Cramer-Krasselt. Prior to this, Craig was an Executive Creative Director & EVP for McCann in New York and was the Co-founder of TAG Ideation (McCann's young adult division). Previously has worked at Deutsch, New York; Ogilvy & Mather, New York and DMB&B. Craig was a finalist at Cannes in 2006 and 2005. In 2005 he was a One Show finalist and in 2003 and 2002 he was a finalist at the London International Advertising Festival. He got the Gold Effie in 2005 and various package design awards 2001. 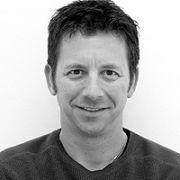 Craig launched Xbox and has designed identities for the Denver Broncos (NFL) and Vancouver Grizzlies (NBA). Craig has a BA in Communications/Mass Media from the UCLA and a BA in Advertising Design from the Art Center College of Design in Pasadena, California. Craig Markus works and lives in Brooklyn, NY.